It seems everyone has gone Paleo lately. 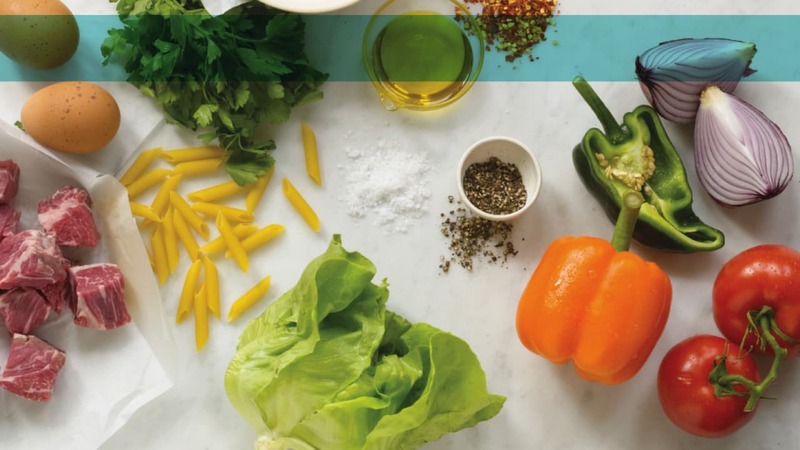 The latest in the trendy diet world, Paleo, short for paleolithic, refers to the prehistoric cave man time period and the diet is based on foods that our ancient ancestors would have likely eaten. The diet is full of meat, nuts and berries and absent of foods they wouldn&apos;t have access to, like dairy and anything processed. The Paleo diet at its core provides a model for holistic eating. With whole, nutrient dense foods as the primary focus as well as the elimination of gluten, dairy, soy and many foods that cause GI distress. Some guidelines for the diet are conflicting, like whether potatoes and/or sweet potatoes are allowed. 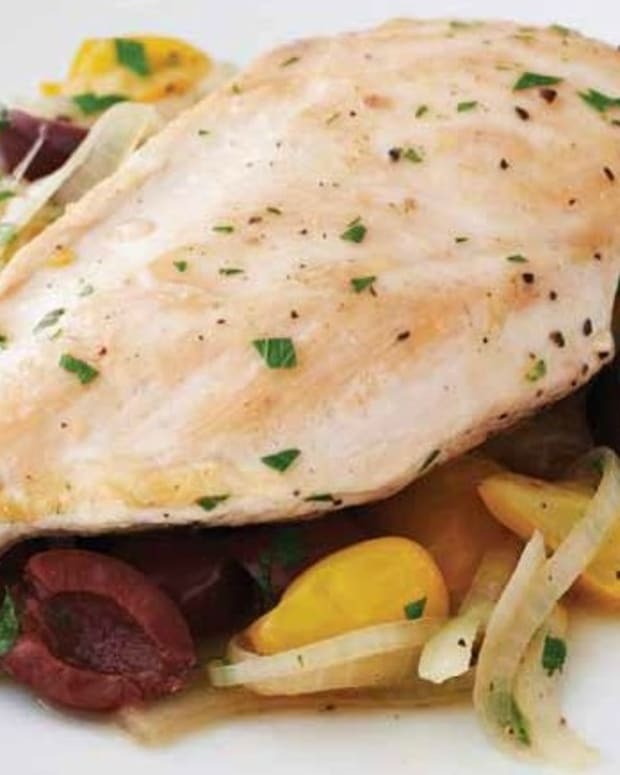 Overall, in it&apos;s simplest form, the Paleo diet avoids grains, gluten, legumes, dairy, corn, soy and sugar and allows grass fed meat, pastured chicken and eggs, wild caught fish, and most organic fruits and vegetables. The diet prefers animal fats and coconut fat over most vegetable oils and also encourages nuts and seeds. What I like about Paleo is that it encourages avoidance of processed foods and it is actually pretty easy to follow, even on Shabbat. 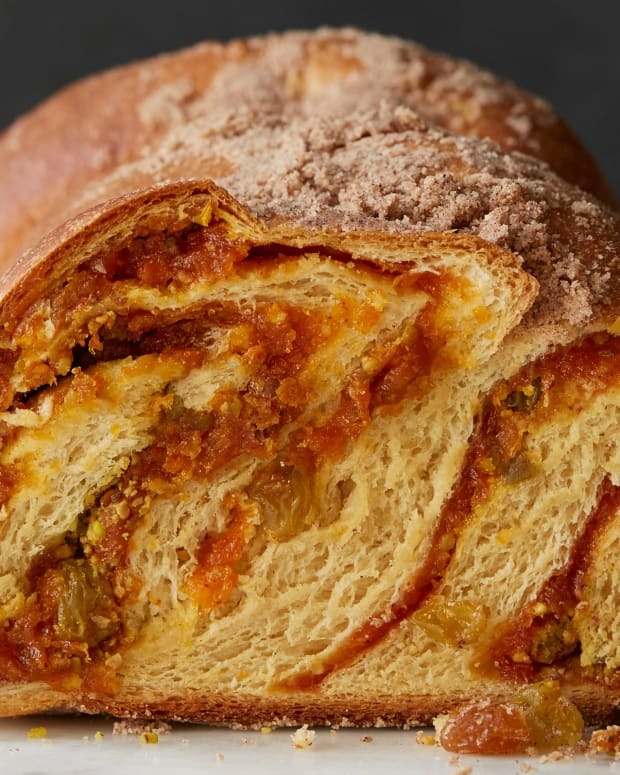 The only cheat you might have to do is enjoy a little wine and challah, they don&apos;t really belong in this diet and any substitute challah wouldn&apos;t work with the blessings, so enjoy a small amount and then try this Shabbat Paleo Menu. 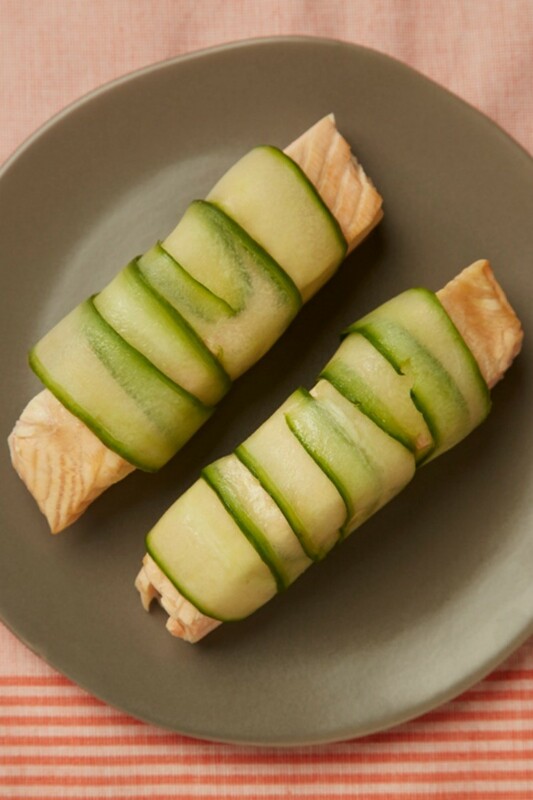 Simple Poached Salmon can be served cold or at room temperature. 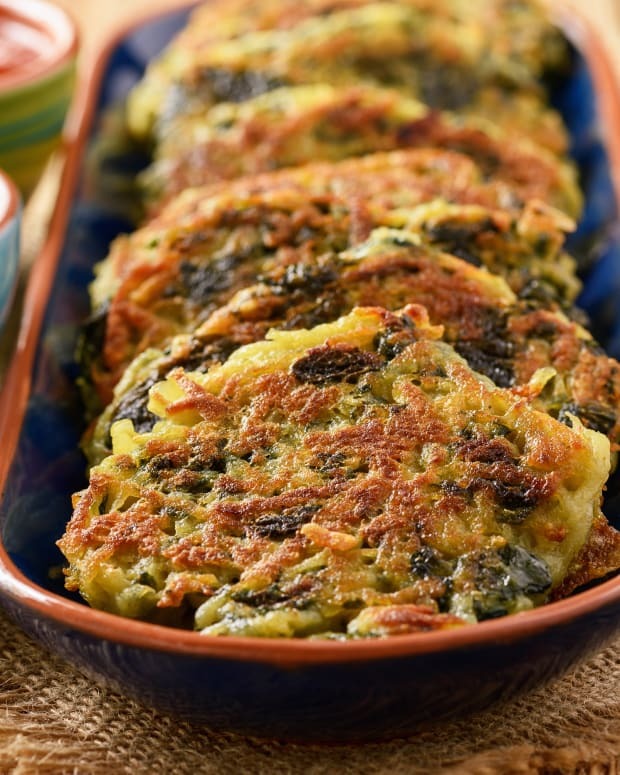 It is common to serve fish at the start of Shabbat meal, you just have to stay away from those processed loaves of gefilte. Try a simply cooked salmon and serve with some horseradish. 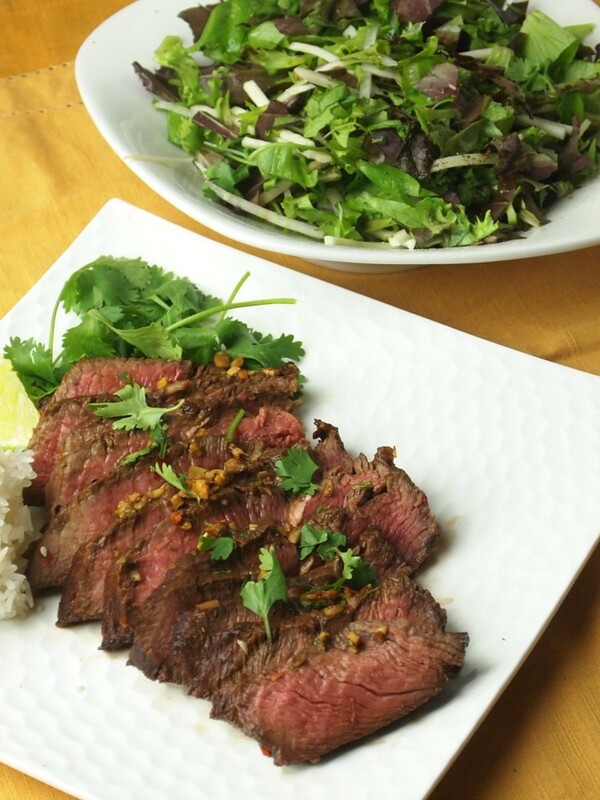 Try this Thai Flavored London Broil for the main course. 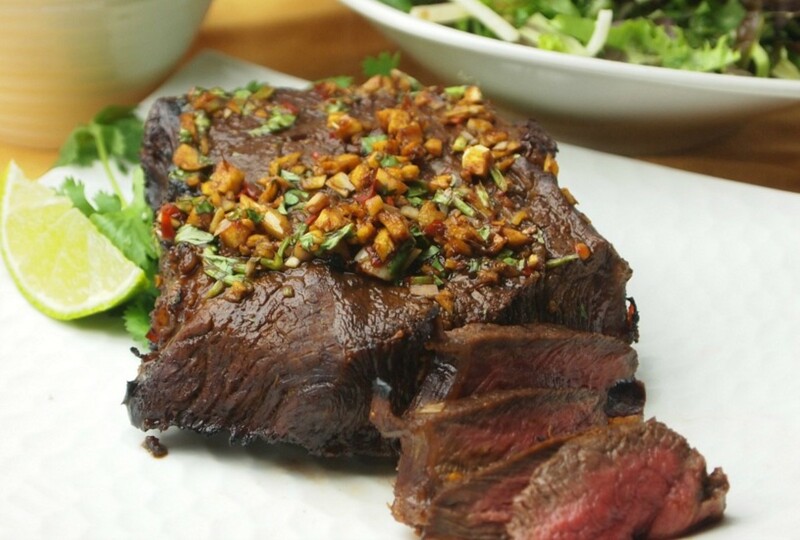 Made with Grass Fed beef it is perfectly suited for your Friday night or Saturday lunch table. 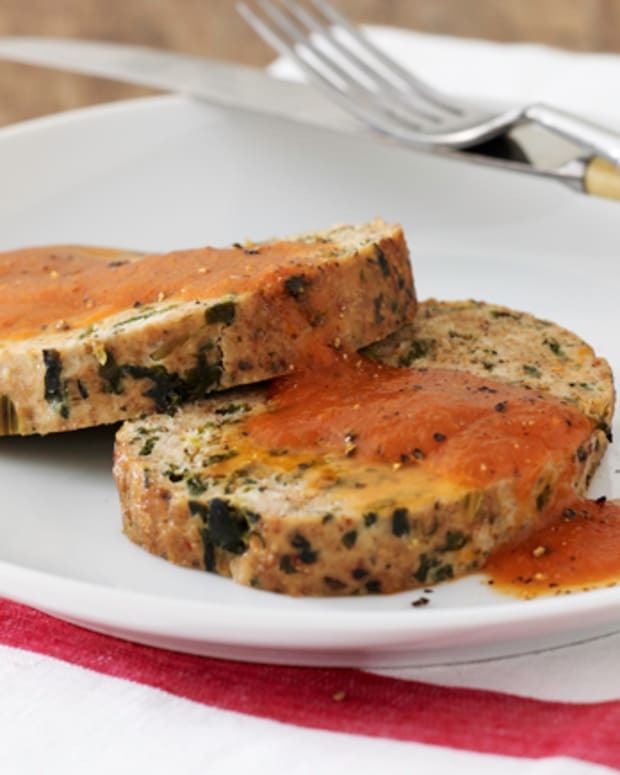 It is a lean cut of meat and sits well served hot or cold. 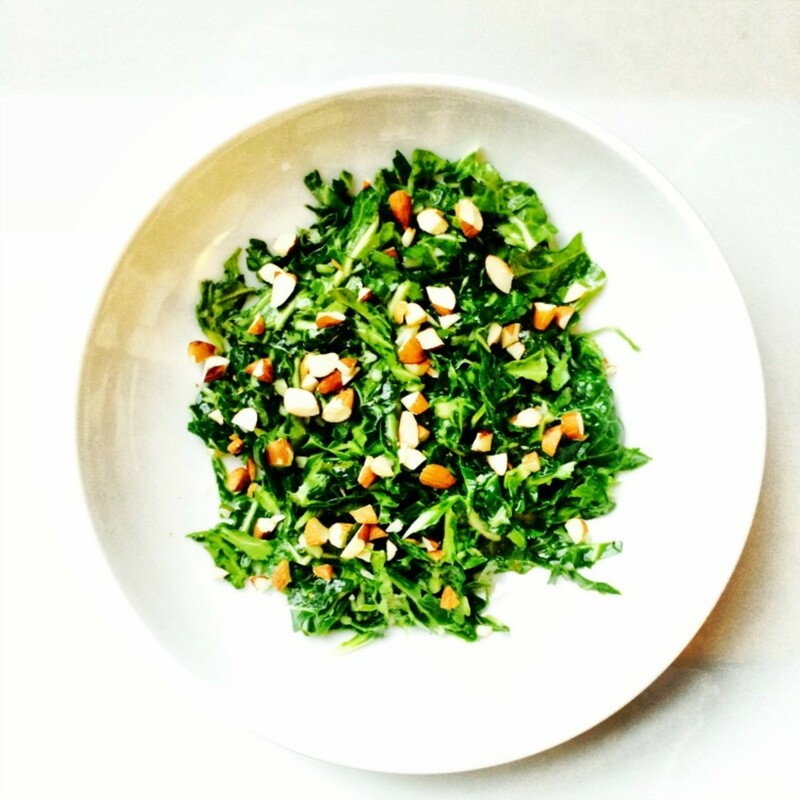 I would serve this Shaved Mustard Green Salad or some other leafy greens with nuts on the side. 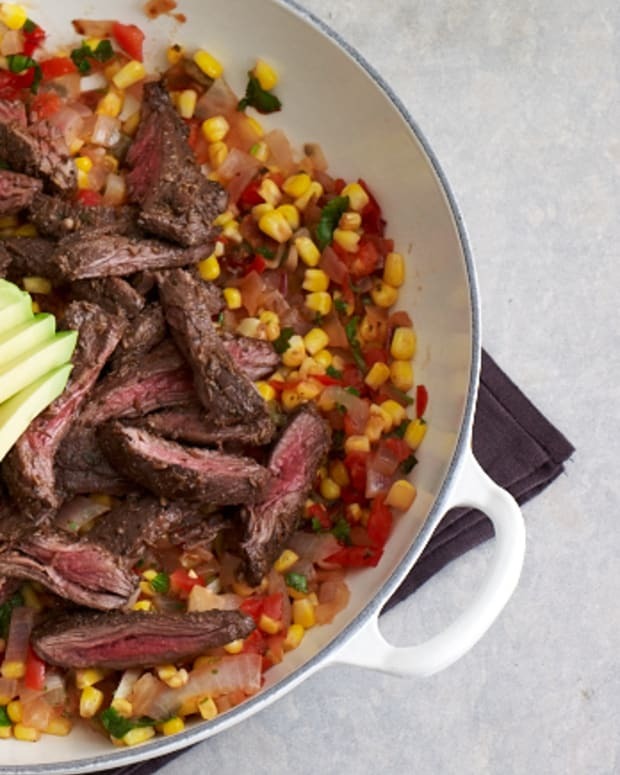 Maybe add some cilantro to tie into the steak a bit more. 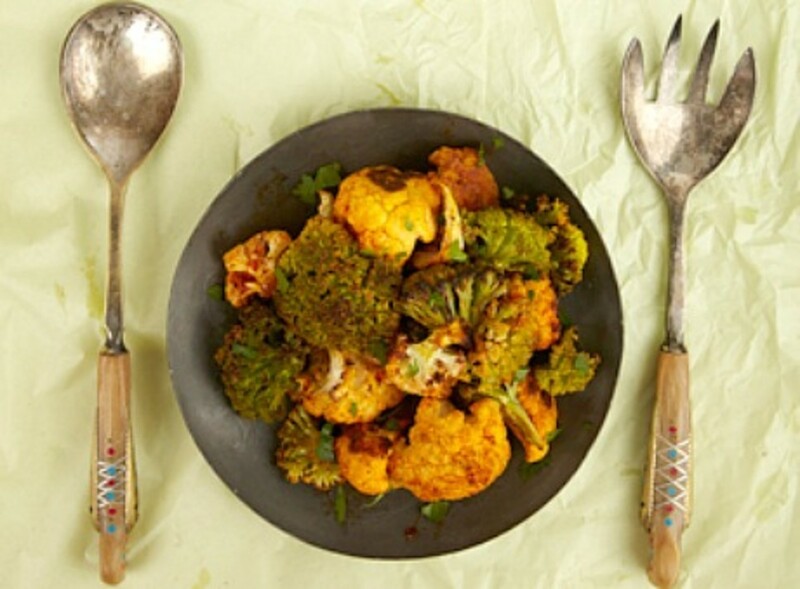 Instead of roast potatoes serve some posted cauliflower, this recipe uses different Colored Cauliflower with spices, but you can also try it with broccoli. 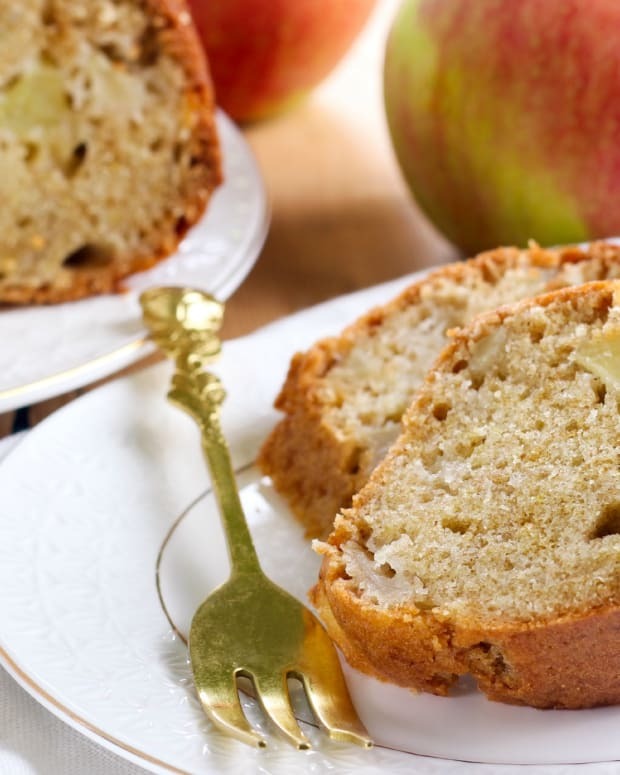 It is not easy to get dessert into a Paleo menu, most will use coconut oil, almond and coconut flours and even coconut sugar or honey to comply with the diet and the results can be delicious. 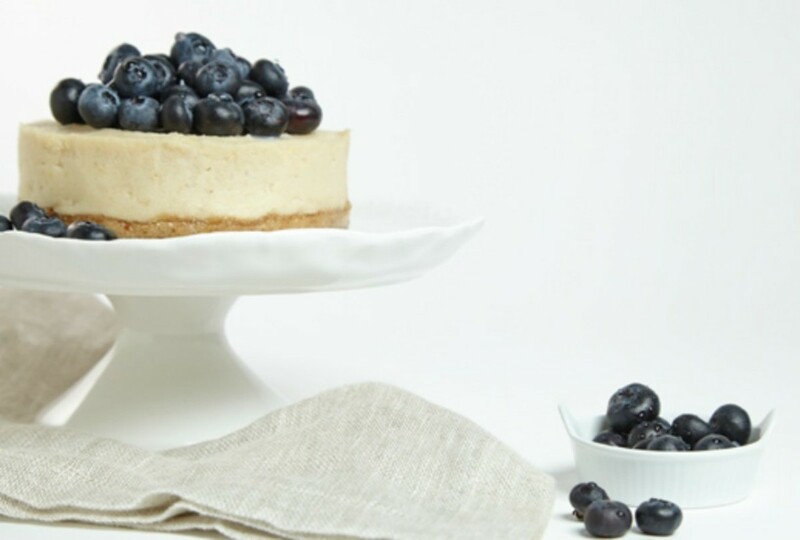 Try this No Bake Lemon and Blueberry Cashew Cheesecake and see what a Paleo dessert is all about. If you like this menu and are eating a paleo diet, leave a comment below so we know you want more.